A father-of-three in the UK was handed a $400 (nearly R8000) credit card bill after his five-year-old son incurred charges playing a 'free' puzzle app on Facebook. 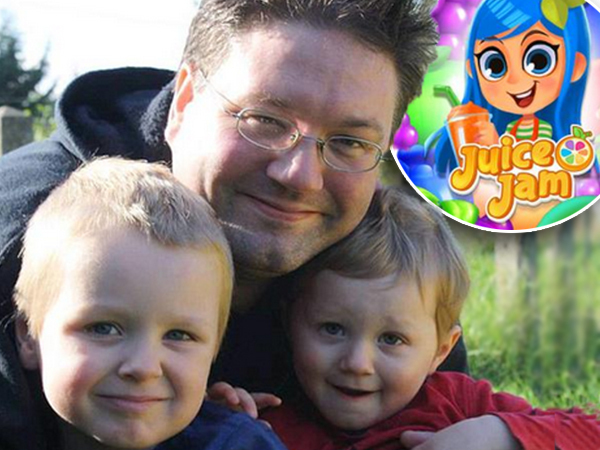 Alexander (5), who suffers from autism, racked up the huge bill in only a few days by playing the game Juice Jam through his father’s Facebook account. Alistair Leith, Alexanders father, uses the social networking site to place paid-for advertisements for his business and his credit card details are stored as part of his log-in details. His son had been logging into his father's account on the family computer and playing the Juice Jam before school. But when the five-year-old acquired more ‘coins’ as part of the addictive puzzle game’s in-app purchases, the site did not prompt the boy to enter the card details again and he was able to make the payments without typing in a password or credit card details. Alexander ended up buying several ‘coins’ packages costing $63 (just over R1200) each. "When I saw the bill I was alarmed," says father Alistair, "What I'm annoyed about is that Facebook makes it so easy that children can make a payment in the first place… so many devices do not log off automatically. It makes it so easy for children to go on these things and run up substantial bills and in my view that cannot be ethical." Following a complaint to Facebook, the social network has since offered Alistair a one-time only refund.